Tons of New Sonic Toys Shown at Spielwarenmesse 2017! Remember how I told you that London Toy Fair doesn’t usually have much in terms of Sonic? But New York and Germany are the ones to watch out for? Well… told you so. Spielwarenmesse is currently underway and as expected, there was a huge showing of Sonic merch! 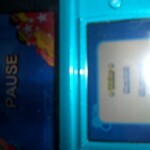 Someone managed to get inside Tomy’s booth and took photos of everything in sight! Resulting in one epic haul of Sonic merch for 2017 and beyond! Based on the photos taken, the Sonic Boom toy line continues to be very profitable. Yes it is profitable, because if it wasn’t they wouldn’t keep making them… That’s how making money works, you make more of what is selling! Anyway, on with the report. Continue reading Tons of New Sonic Toys Shown at Spielwarenmesse 2017! 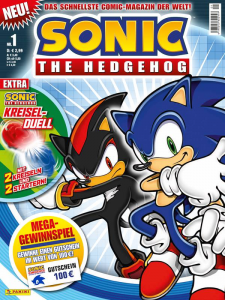 German fans are in for a treat, Panini have announced that their newest publication a ‘Sonic the Hedgehog’ is now out. Priced at just under 3 Euro’s the magazine contains, well… we’re not entirely sure. According to Sega’s documents which were released during the Vegas Licensing Expo, this is likely to be the Archie comics magazine which was mentioned there. The press release also mentions activity pages, competitions as well as other monthly surprises. The first issue offers readers the chance to win a voucher for 100 Euros to spend at SonicMerchandise.com as well as a free gift, a Sonic gyro toy. The magazine is a bi-monthly publication, which means a new issue will come out once every two months. If anyone has a copy of this, let us know in the comments what you think of it. 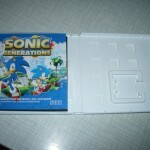 A GameStop store in Germany has broken the European release date for the Nintendo 3DS version of Sonic Generations. 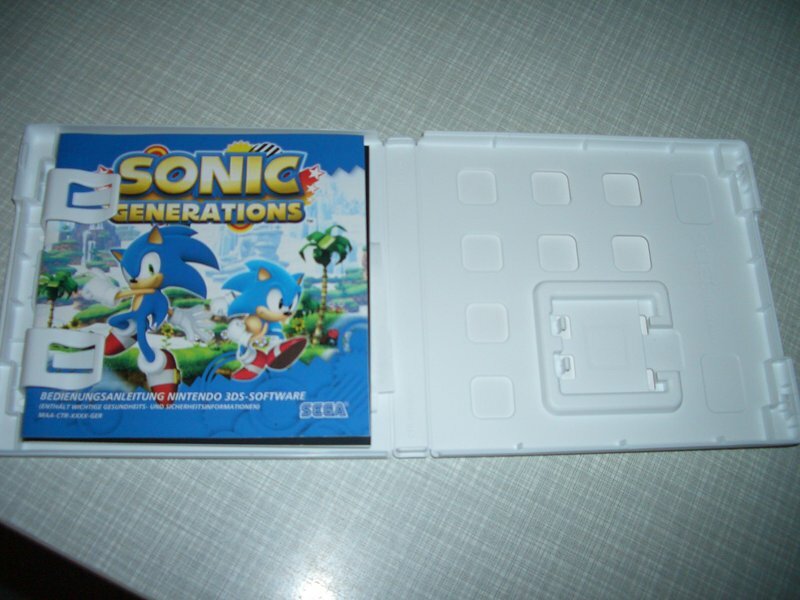 SSMB member Thigolf went into the store today to pick up a copy of Super Mario 3D Land and was surprised to find Sonic Generations available to purchase 8 days before its November 25th release. Needless to say, Thigolf snapped up a copy and is playing it right now. UPDATE: Thigolf has shared lots of new information with us about the game. *The only characters in the game are Sonic, Tails, Eggman and the rivals. *After you beat the boss (or Green Hill in the first era) youre free to choose which zone and act of the era you wanna do first. *In the Special Stages, you collect the orbs to get the boost and chase the emerald. You have to catch him within 1:30 min. *Classic Sonic unlocks the homing attack after the classic era, Modern Sonic unlocks the stomp after the Dreamcast era. Thanks to Thigolf at the SSMB for the heads up and the pics. We love our friends in the Sonic community, and even more so if they cover the works of Sonic musical legend Jun Senoue. 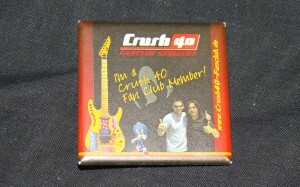 News has just hit us that for the first 50 members who register to the Official German Crush 40 Fanclub (which means its legit, yo), there’s a special badge up for grabs. You can see a picture of the badge above. I’ve seen it myself, touched it with my own hands. It’s a nice little badge, don’t you think? If you want one of these, then register at the site and it may well be on its way to your house. Then you can wear it with pride and be forever strengthened by the rock harmony of Jun and Johnny. Gang of thugs looking at you funny? No problem. Embrace the power of the badge and rock in their faces until they melt. It’d be like a Sonic themed version of Brutal Legend. Maybe. Go to the damn site already! Schnell! Box Art: Sonic und der Schwarze Ritter! Enjoy these latest high quality images of Sonic and the Black Knight’s PAL box artwork, fresh from SEGA themselves. Taking a note from the book of Sonic and the Secret Rings, it seems that each territory’s title will be translated for their respective audience. We have images of the German (which once again always manages to sound cooler than the English one), Spanish and Australian packshots, but no UK one. Which is a bit odd. We’ve got these in maximum resolution, so if you want a massive Schwarze then simply click on the images above, and select ‘Full Size’ to receive your prize. Thanks to Hero of Legend on SSMB for the heads up! Super Sonic Präsentiert: The Better One Wins! Germany tried all sorts of ways to get Sonic to turn his talent to the music industry in the 1990s. We all know about They Call Me Sonic, and the mental scars it brings. And we don’t talk about Sonic & Tails. But check this out – discovered by keen TSS’er BlitzChris, this was a compilation pop record farmed out by BMG Germany to get those crazy kids to buy Bobby Brown’s Humpin’ Around. Released in 1992, it features 17 tracks from various artists, and the only link we have is that Super Sonic Dance Attack features in the tracklist. Now you can build tenuous links between Right Said Fred and Sonic the Hedgehog before Wonderman was ever concieved. This confirms both a 360 and a Wii version, at least. Special thanks goes out to TSS’s own Casanova for reporting this info, and sending in the above Google translation. Walk into a Japanese music or games store. Look left. Look right. Notice anything different, apart from the eclectic colour and anime freaky cartoons screaming in your earhole rendering you half-deaf? Amongst other things, an abundance of video game soundtrack CDs. The Japanese love the aural aspect of gaming, so much so that society has deemed the compositions as a bona fide form of audio art. As such, you can expect to see many original soundtracks (OSTs) littered about the place for any such game. This trend is catching on in the West, particularly America. The large-scale video games are getting standalone soundtracks. Granted, most of them happen to be either Final Fantasy (whatever else?) or the chav-gathering titles aimed at those who like gritty, grey realism with as much life as a beige sweater. Not that I’m biased or anything, you understand. Jun Senoue’s getting in on the act by doing his best to ensure Sonic OSTs are brought to the US mostly intact.